Previous Year– Previous Year or Financial Year begins on the 1st of April of the current year and ends on the 31st March of the next year. Finance Minister Piyush Goyal announced the Budget for the upcoming financial year 2019 that is focused on the development and growth of the country. This Budget provides relief for individual taxpayers. The following are a few pointers that significantly affect the Union Budget 2019. Exemption from the Tax Rent in the case of two Self Occupied properties is also proposed. Anyone having two self-occupied house will have to pay for anyone of the two houses. The standard deduction has been changed from Rs.40,000 to Rs.50,000. 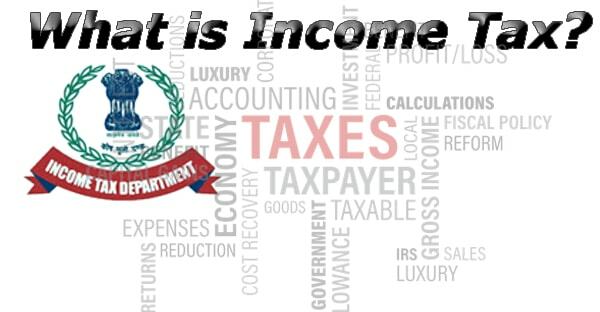 Surcharge When the total income is more than Rs.1 crore, the surcharge is 15% of the income tax. Surcharge When the taxable income is higher than Rs.1 crore but less than Rs.10 crore, the applicable surcharge will be 7%. Income Tax Return is the option provided by the government to save on the Tax payable by investing in some financial instruments. This kind of Investment can be declared for Tax Deduction under Section 80c and 80D that can provide a reduction of Rs.1.5 Lakhs and Rs.25,000 form the annual income respectively. Login to e-Filing website with the User ID, Password, Date of Birth /Date of Incorporation and Captcha. Go to e-File and click on “Prepare and Submit ITR Online”. Fill in the details and click the “Submit” button. On successful submission, ITR-V would be displayed (if DSC is not used). If ITR is uploaded with DSC, the Return Filing process is complete. Note:-Click on the link and download the ITR-V. ITR-V will also be sent to the registered email. The ITR-V Form should be printed, signed and submitted to CPC within 120 days from the date of e-Filing. The return will be processed only upon receipt of signed ITR-V.